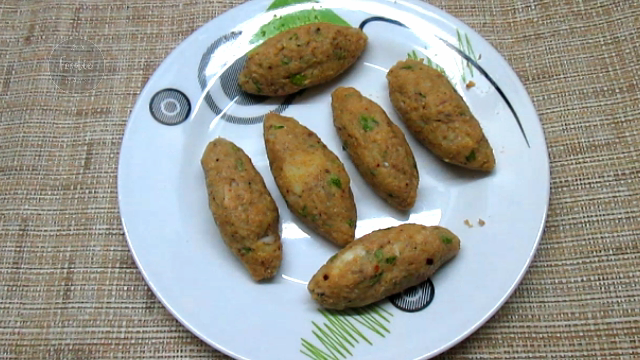 Tuna Kebabs are made with canned tuna (which is already shredded) and preserved in water or oil. They go well as starters or breakfast and are absolutely delicious. It can be served with green chutney or tomato ketchup. .These cans are now available in most big supermarkets, so you too can make these kebabs using this Tuna Kebab Recipe. Canned Tuna- 1 can,185 gms. Potato- 1 Medium sized potato, boiled & peeled. Onion- 1/2 Cup, finely chopped. Coriander leaves- 2 Tablespoon, Chopped. Red chilli flakes- 1/2 Teaspoon. Black pepper powder- 1/2 Teaspoon. Ginger & Garlic- 1 Teaspoon, paste or crushed. 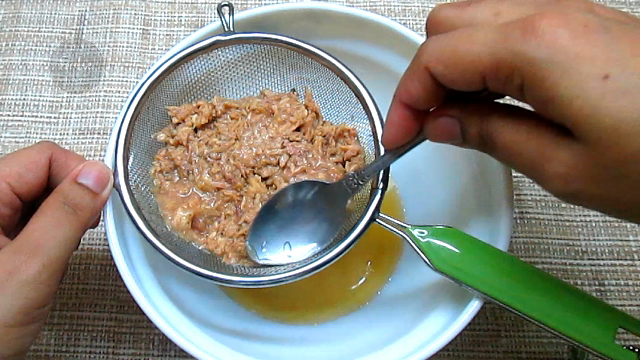 Drain the water or oil from the tuna and keep this aside..
Mash boiled potato and add this to a bowl. 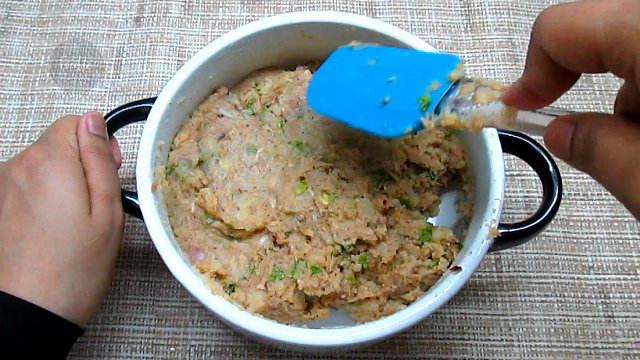 Add drained tuna, onion, coriander leaves, red chilli flakes, black pepper powder,garam masala powder, lemon juice, breadcrumbs, ginger garlic, egg and salt. Mix it really well. Make small kababs with this mixture. 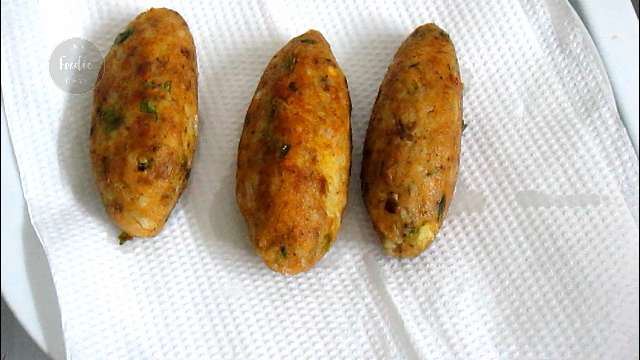 You can freeze this kababs for later use. Heat some oil in a pan and shallow fry the kebabs until golden brown from both sides. Take out on a kitchen tissue to remove excess oil from it.. Serve hot with green coriander chutney or tomato ketchup.